Hello lovelies! 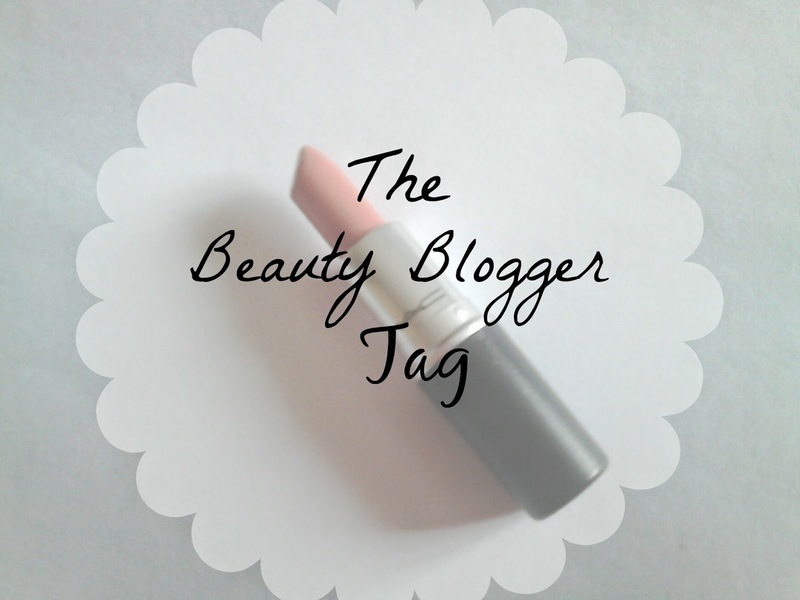 I haven't done a tag in a while so when I came across the Beauty Blogger tag in the Blogosphere I instantly wanted to do it. It's a great, fun tag that will let you get to know me and my little blog a little bit more. Why did you start blogging and how long have you been blogging for? I started blogging because it's something I have wanted to do for the longest time, ever since I left school. I was always scrolling through various different blogs and watching beauty gurus youtube videos. I have been blogging since last October and I am loving it. 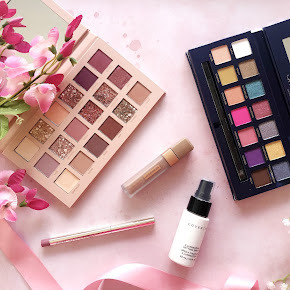 Who's blog did you fall in love with first? The first blog I fell in love with first? Aggh, gheeze, you know I actually can't remember as I've been reading blogs from a young age. I wish I could remember. What was the first Blogosphere hyped about product that you bought? Was it worth the hype? I jumped on the Maybelline Babylips bandwagon and purchased two of them in 'Pink Punch' and 'Cherry Me'. At first I liked them but overtime my love for them disappeared. They give a lovely sheer wash of colour to the lips but I'm more of a bright and bold lipstick kinda girl so that's maybe why I wasn't such a big fan of them for long. 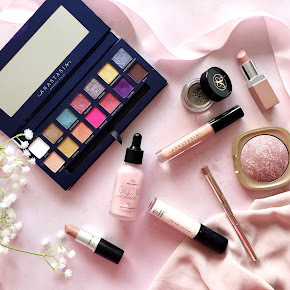 What are your 5 favourite things about blogging and being a beauty blogger? 1. The blogging community is absolutely amazing. I love chatting to new people on the #bbloggers twitter chats. You share the same interests(beauty, blogging etc) so you find it easier to talk to them rather than family or friends that don't share that same interest as you. 2. The majority of products I have found through other beauty blogs posts I have purchased and loved. Some of them have actually gained the 'holy grail' status. 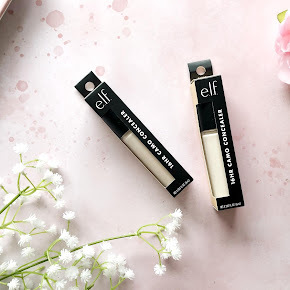 It's great to find new products through another persons blog. 3. I love reading through blog posts, whether it's a favourites post, review, product launch, pretty much anything. I always gain inspiration from reading blog posts. I always think of a new blog post idea when reading through them. 4. I love reading through all of your lovely comments on my posts, I always feel a great sense of achievement when I read through them. 5. Writing blog posts- I love writing a new blog post. It's such a great thing to do when you want to fill in spare time and I love writing about things I am hugely passionate about. What have you learnt from being a Beauty Blogger? I have learnt that I am absolutely rubbish when it comes to saving money. If I read through lots of good reviews on a product then I will most probably buy it(I do my research first) or if I see some tempting offers on my favourite beauty sites I will often take advantage. What advice would you give to a blogger just starting out? Write about things you're passionate about, you don't need to buy the next best thing in order for people to read your blog. Don't compare yourself to other bloggers, do your own thing. It doesn't matter if one blogger has over 2,000 followers and you have 200, as long as you're enjoying it, they're just numbers. 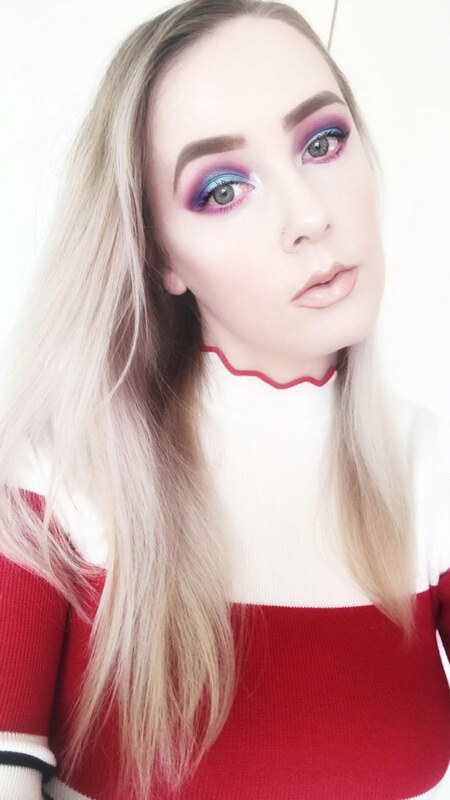 What are your top 5 makeup brands? 1. MAC- I am obsessed! I love their lipsticks, face products and eyeshadows. Such great quality and worth the high end price. 2. Rimmel- A great high street brand that are always upping their game with their products. I love the Kate Moss and Rita Ora ranges, particularly the lip products. I am a bit obsessed with them. 3. 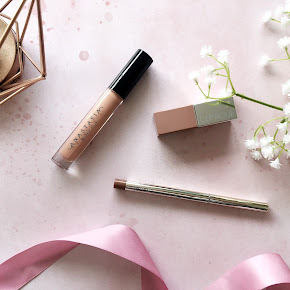 Revlon- Another high street brand that I have to sing praises about. I love the colorburst balms and revlon colorstay foundation. Need I say more? 4. Urban Decay- Admittedly I don't have many products from them except from their Naked palettes but o-m-g, they're amazing. These are the top 4 brands that I love, I haven't been experimenting with many new products from other brands. Revlon Colorstay Foundation- a great medium-buildable coverage foundation that covers well, is very long lasting and suits all skin types. Revlon Colorburst Matte Balms in 'Unapologetic'- A bright, bold statement balm that is super moisturising and great for summer. Urban Decay Naked Palettes- I have 1 and 3 and the 2nd palette on the way. They are both very versatile and incredibly pigmented. You can use them as a one wash wonder or create the most beautiful smokey eye with these palettes. Rimmel Day 2 Night Mascara- This is a 2 in 1 mascara, it volumises and lengthens the lashes without clumping. MAC Mineralize Skinfinish in 'Soft and Gentle'- The most beautiful highlighter, it makes your complexion look incredibly healthy and glowy. It's just amazing! I hope you enjoyed this tag, I tag you all to take part!